Working with the financial and accounting records for business, what a bookkeeper does helps ensure a business operates in a fiscally responsible manner. 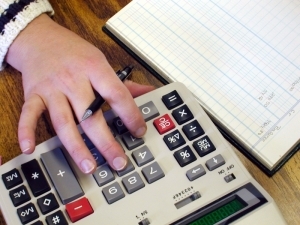 A bookkeeper’s life is numbers, but their connection to business and financial reports isn’t the same as an accountant. Although the professions do share some similarities and responsibilities, a bookkeeper’s responsibilities are closely related to the actual, physical “books” of the business. These books include the business’s documentation for transactions, sales, and purchases. Similar to entry-level auditing clerks and accounting clerks, bookkeepers use a variety of types of software and online databases to perform their duties. Within those programs, bookkeepers will record financial transactions and keep track of money used for debits and credits to the business. Additionally, bookkeepers will take the cash, checks, and vouchers used by the company and record the amounts in a ledger. They will also produce reports based upon the numbers recorded during the regular course of business. Some bookkeepers may choose to advance their career and responsibilities with membership in the American Institute of Professional Bookkeepers. Experienced bookkeepers will benefit from continued study of new programs and techniques which ensure bookkeepers are up-to-date on current practices. Like most industries, the responsibilities of an entry-level bookkeeper will not be as extensive as those of an experienced bookkeeper. When entering the profession for the first time, a new bookkeeper will work with receipts and the business’s official ledger, as well as transport checks and cash to the bank. Experienced bookkeepers will also be responsible for duties like payroll, making certain purchases, creating invoices, and maintaining a list of overdue bills due to the company or that the company owes other entities. In some cases, a bookkeeper may eventually take on the responsibilities or job title of an accounting clerk or auditing clerk. These professions do what a bookkeeper does alongside additional responsibilities like determining interest and amortization schedules for loans, as well as coding certain transactions and documents for posterity and filing. Nearly every responsibility of a bookkeeper requires close attention to detail and accuracy in numbers. Not surprisingly, bookkeepers should like math or be comfortable working with numbers and computer programs. Modern bookkeepers must understand specialized accounting software; training to use industry standard programs is advisable before seeking work in the industry. Although bookkeepers can find employment with no training beyond a high school diploma, specialized classes and certification from the AIPB may enhance a bookkeeper’s chances for finding employment. The educational requirements for bookkeepers are such that entry into the industry is attractive for students who aren’t inclined to pursue a full four-year degree. Some entry-level bookkeeping jobs require a high school diploma and some modest on-the-job training. Many bookkeepers eventually decide to move on to further training to become accountants, so positions become available on a fairly regular basis. According to the Bureau of Labor Statistics, the profession will see over 200,000 jobs created in the next decade. Today’s businesses rely upon creative products and innovative advertising to succeed, but behind every successful business is a smart bookkeeper, clerk, or accountant. Anyone who finds numbers and basic financial equations interesting will find what a bookkeeper does an attractive job.